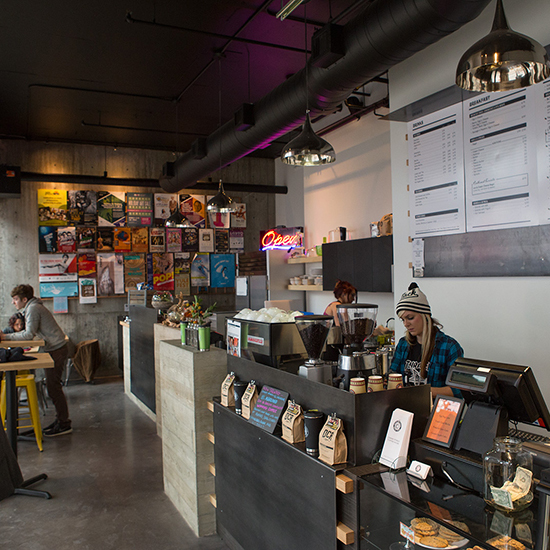 If you have a hankering for Jetsons-style furniture (read: boomerang tables), Voxx Coffee’s Eastlake location delivers. Baristas here pride themselves on developing seasonal drinks—and not just the much-maligned pumpkin-spiced latte, either. 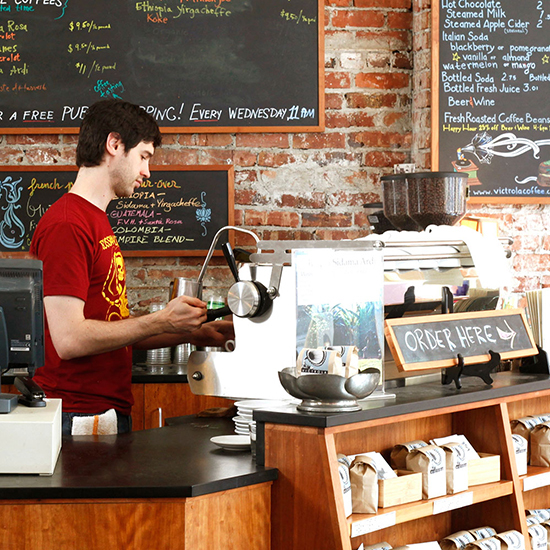 This spring Voxx offers an iced cardamom vanilla latte and coconut-lime Italian soda. 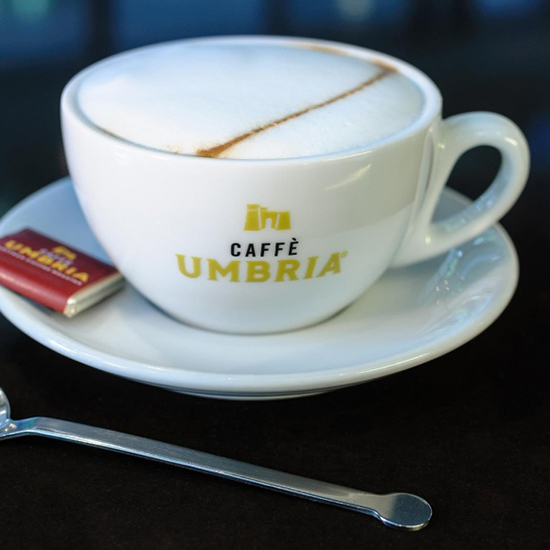 Caffe Umbria, which has two locations in Seattle (Ballard and Pioneer Square), turns to two of the city’s best bakeries (Macrina Bakery and Le Panier) to stock its cases with sweets like macarons, tarts, cinnamon bread, and four (four!) types of croissant. 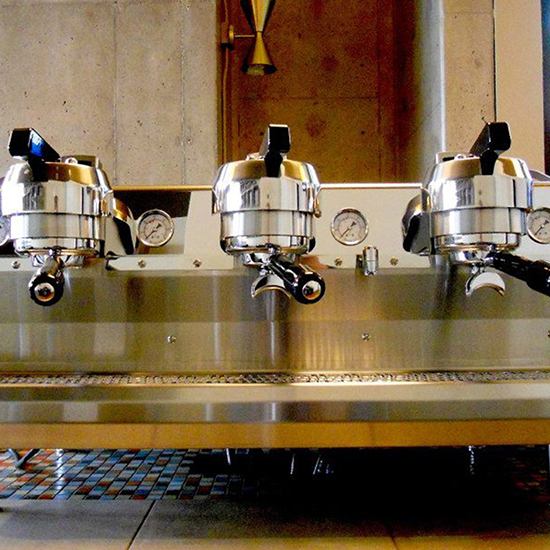 This roaster also boasts Italian roots: Patriarch Ornello Bizzari opened a roasting shop in Perugia in the 1940s. His descendants moved the craft to Seattle in the 1980s, and eventually secured deals with places like Bellagio Resort & Casino in Las Vegas to serve their coffee. 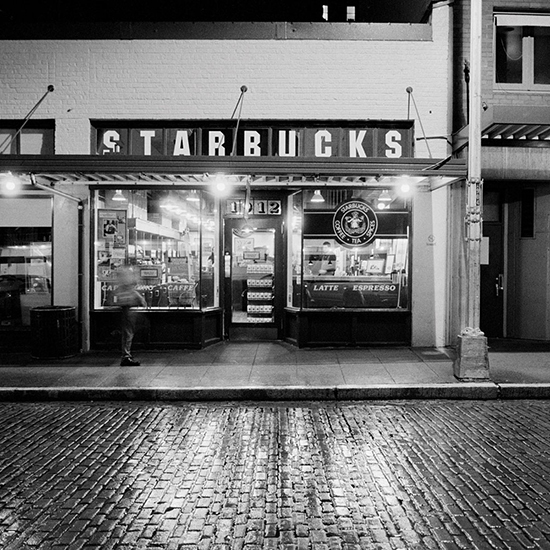 Early risers can grab a latte (brewed with beans roasted by master roaster Emanuele Bizzarri) and pastry vice as early as 6 a.m. in Pioneer Square. 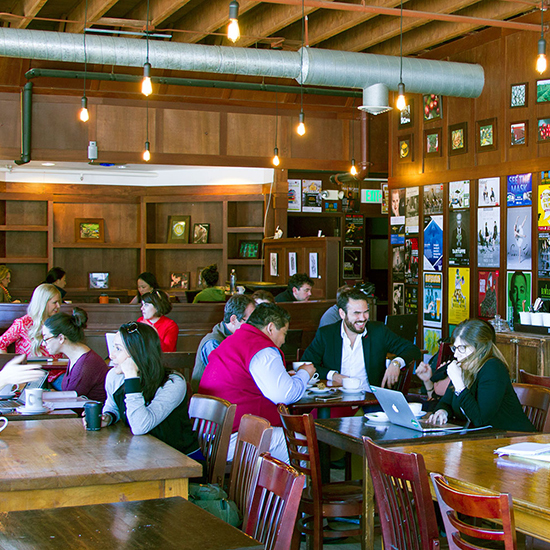 Drop by Zoka late on a weeknight, and you’ll likely spot students hunched over their laptops and textbooks. Walls of multipaned glass and dark woods make this café feel like an historic library, and surely pastries made in-house and single-origin pour-overs do a lot to cultivate the mind. David Schomer, founder of Espresso Vivace, literally wrote the book on espresso, a manual by the name of Espresso Coffee: Professional Techniques. 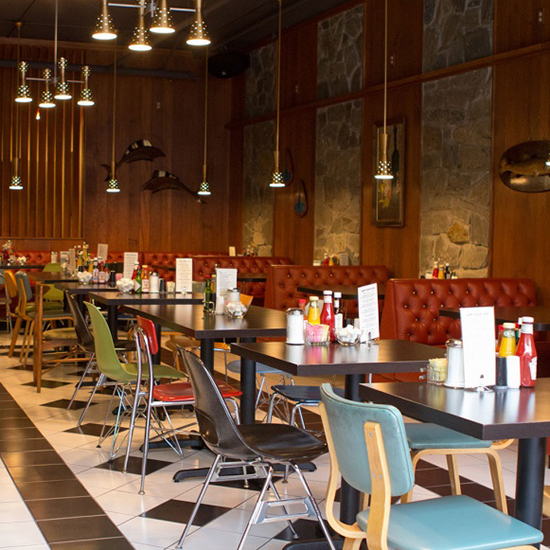 The café, which roasts in the northern Italian style, is done up in midcentury Formica tables, with matching chairs in primary colors. 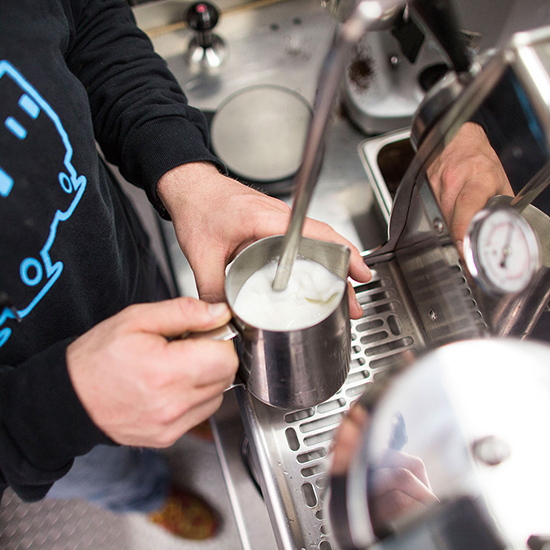 Ten cafés across Seattle—in spots that include downtown, Pioneer Square, Belltown, and Capitol Hill—employ baristas under Ghambari’s tutelage. 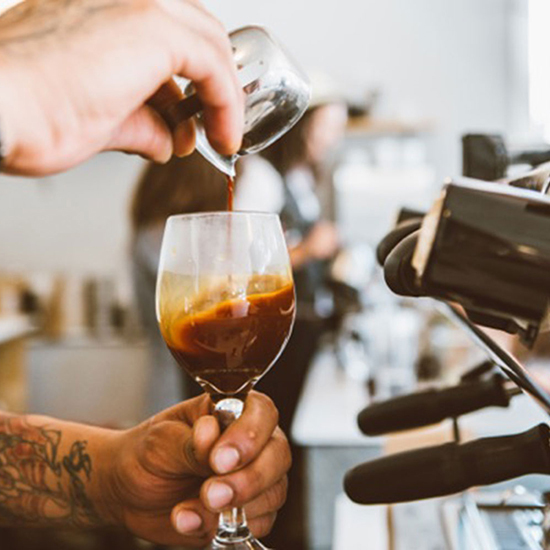 Whether one opts for a latte to witness flawless latte art, or a simple single shot of espresso, Cherry Street has a tendency to appease the pickiest of palates. 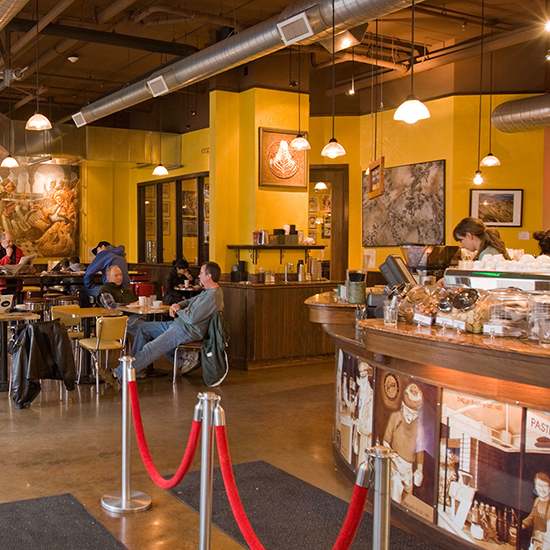 Each café also sports its own design, from the graffiti-inspired murals behind the espresso bar in the West Edge neighborhood to Middle Eastern décor on Clay Street.